Are you looking for a holiday gift that is meaningful? 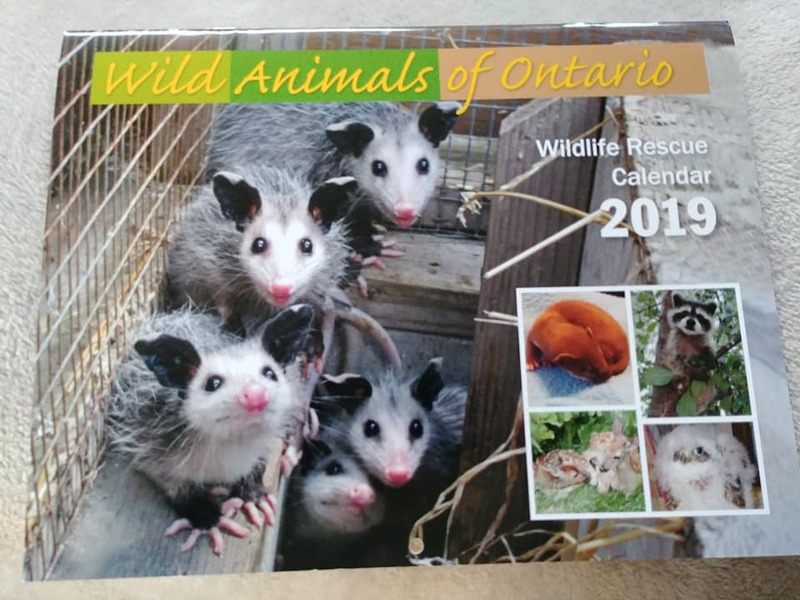 Our 2019 Wild Animals of Ontario calendar is now available by a $10 donation to Another Chance Wildlife Rehabilitation. 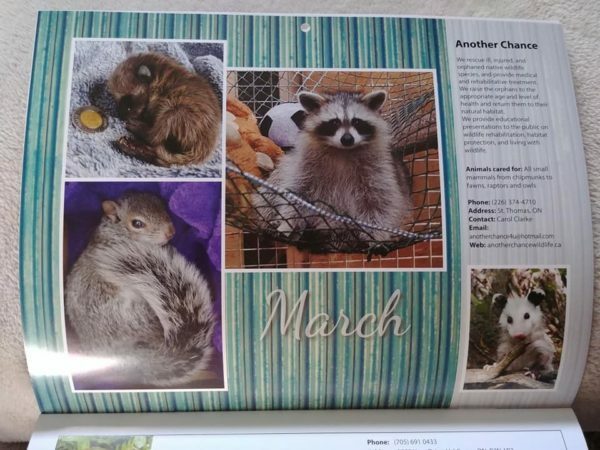 The calendar has beautiful photos of Ontario wildlife for each month. In addition, there’s a listing of 24 participating Ontario Wildlife Centres including their location & phone number. This is an excellent opportunity to support your local Wildlife Rehabilitation Centre & we really need & appreciate your support! Calendars are available at Beaver Creek Animal Hospital on Sunset Drive St.Thomas, as well as Belmont Animal Hospital, West Lorne Animal Hospital & St Thomas Animal Control.